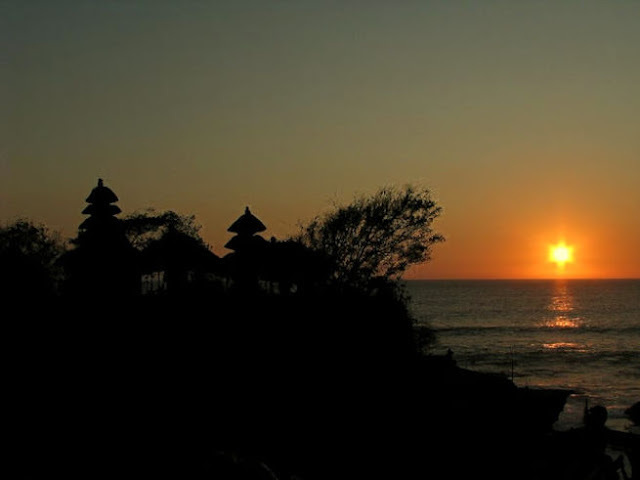 If watching sunset is on your bucket list when traveling to Bali, do not miss out the beautiful scene at Tanah Lot. Tanah Lot is a huge rock formation on the beach that sits a Hindu temple. The temple is believed to be guarded by a giant sea snake. The temple is one of the seven sea temples on Bali island. Many visitors visit the temple and pray for good luck and wealth. At about 6pm, the high tide of the sea rise above the rock and separates the temple from the beach. 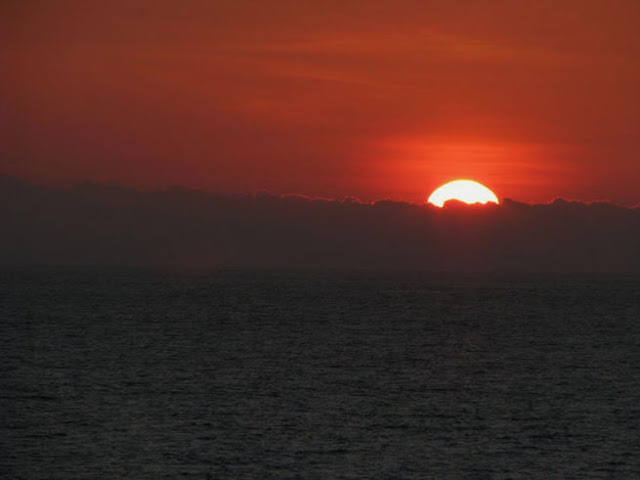 To get a first class view of the sunset, we advise you to climb up to the cliff on the beach. There are a few cafes on the cliff that allows you to pick your front row seat for the sunset. Order a chilled drink, sit back, relax and wait for the sun to set as your day slowly unwind. Take note on how the blue painted sky slowly changed to blood orange. And then it slowly turned into purple and the dark takes over. The silhouette of the temple creates a beautiful backdrop for your viewing pleasure. As you walk out to the main street, stroll through the night market. There are snack stalls lining up on the street. 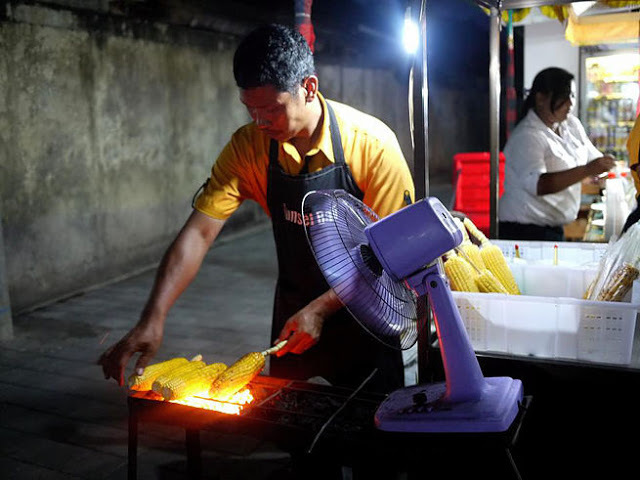 And we highly recommend the roasted corn with cheese. 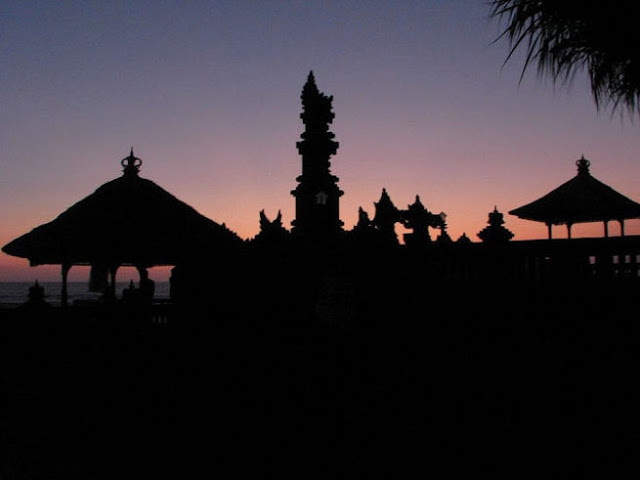 Visitor's tips: The best time to visit Tanah Lot is around 5pm. Take an hour to explore the temple on the rock island. When you notice any sign of high tide, return to the beach and make your way to the cafe. The sun set around 6:30 pm - 7:00 pm, depending on the period of time of your visit.